Triple Tree 2016 is in the books! 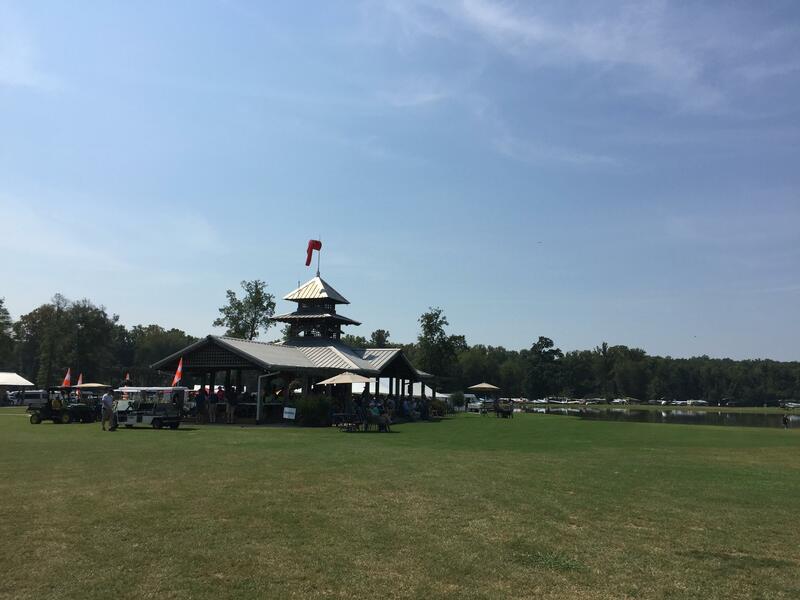 One of the goals I had set when we first started the plane restoration was to take the plane to the Triple Tree Fly-in which is held every year at the Triple Tree Aerodrome (SC00) near Woodruff SC. I had been before on Tinker Belle but had never taken my own plane there or been able to camp out. There was a bit of a scheduling conflict with one of the crew members on Tinker Belle, so I offered to fly down on Friday with Tinker Belle and then the other crew member (who was a CFI) could fly with Cody on Saturday in 86T. That worked out for everyone as the plane got down there and everyone could get a chance to enjoy the fly-in. I arrived early Friday morning on Tinker Belle and the grounds were fantastic. The guys at Triple Tree work really hard all year to make sure their grounds are pristine. Every time I've been able to visit it's better than the last. Friday evening we attended the "Taste of Triple Tree" dinner and there I was able to meet Mark Baker the AOPA President. He had read the article on our plane and had heard about us which was pretty awesome. That night I spent sleeping under Tinker Belle, I had never camped out before so this was all new to me. The next day Cody arrived early around 8am in 86T which fortunately missed most of the traffic. People REALLY started packing in Saturday morning and at last count over 645 planes arrived for the day. 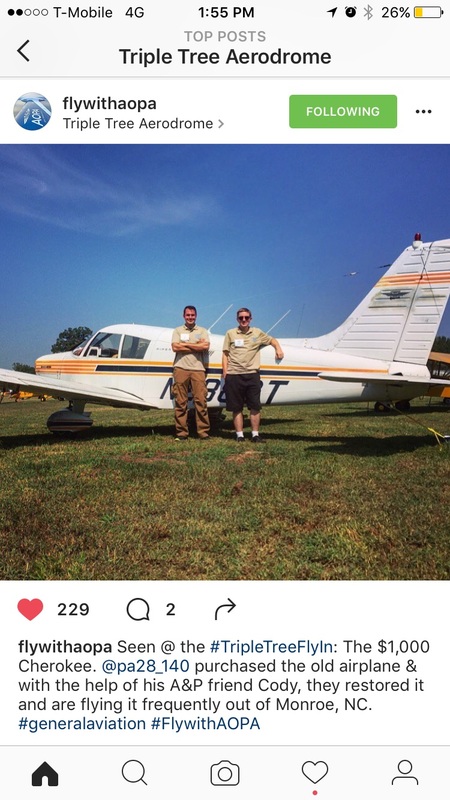 The AOPA was on site with their crew and asked if we would like a picture taken and put up on their instagram page with the plane at Triple Tree. Kinda embarrassed to admit but we actually got recognized a few times by people who had seen the article or had seen me on facebook. Everyone wanted to hear the story and ask questions about the plane, even had a few people come by for a quick tour. The guys at https://swiftfuels.com/ were onsite selling their 100LL alternative and we picked up a few gallons for the flight home the next day. 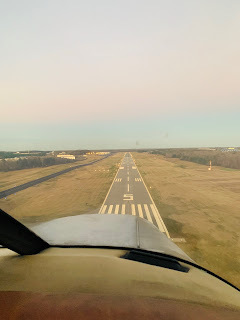 Sunday morning was a beautiful cool morning with clouds around 5000 feet, a front had come through the evening before which made for a smooth as glass flight home. Total time was 47 minutes back with a little tailwind. I'll be honest, words do not do Triple Tree justice, if you are even remotely interested in aviation you need to make it a point to come out during the fly-in. I guarantee it will be an experience you won't soon forget. Here is a link to my full album of pictures from the event....so many great memories! You really should try to get her to Oshkosh next summer! Spend the night under the open sky, to fly a plane and do another bunch of different interesting things!